"Together, we can do more!" 3. LEARN from any dubious activity you observe. Community Service Commendation from Santa Clara County Board of Supervisors by Dave Cortese. SJCE_FINAL_121918 from MIG, Inc. on Vimeo. On November 1 Smart Cities and Service Improvements committee meeting was held. The Council committee will discussed Smart City Roadmap and the integrated Permitting System. Tune in to see what factors drive the implementation of the Smart City vision, including projects for innovation at scale, the scope of permitting and building code enforcement, and strategies for Information Technology experiments. 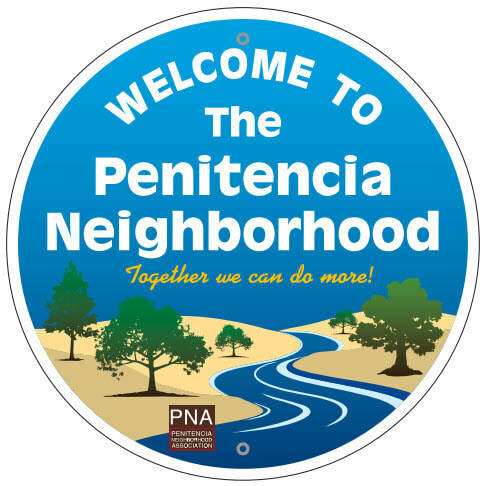 Penitencia Neighborhood Association is a group of concerned residents that have developed a solid sense of neighborhood community. - Our focus is on crime, safety and quality of life issues that effect our neighborhood community. (1) Know each other "face-to-face,"
(3) Addressing issues having an effect on the "quality-of-life" in our neighborhood community. Read San Jose Community's Newsletter on Nuzzel. "Your neighborhood association group is a model of effective and proactive neighborhood association programs for the City of San Jose. " "Your neighborhood association's motto of WATCH, REPORT AND LEARN really works!" "Your neighborhood association's "deterrent programs ARE working" due to lower overall property crime on your groups streets and courts in recent months." 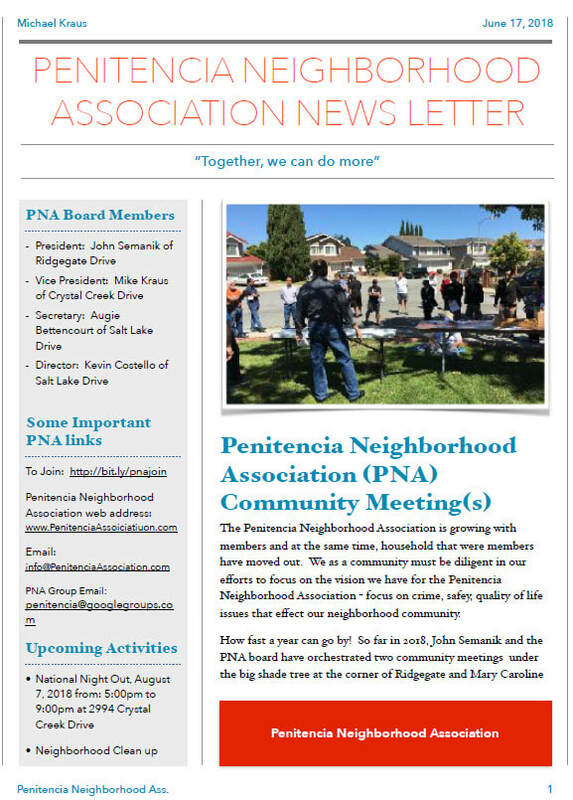 PNA is a regional neighborhood association having a shared unity by its residential members with a solid sense of a caring community. - PNA has 480 members on 55 streets and courts located in the Upper Penitencia Creek region of the City of San Jose, CA, District 4.